6th Sense Fresh Control Technology. Extra Large, Extra Cold Freezer At -26 deg C.
2 Times Faster Bottle Chilling. Honey Comb Moisture Lock Crisper Cover. 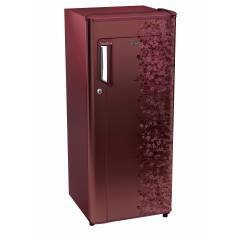 Whirlpool 215 Litre 5 Star Wine Exotica Direct-Cool Single Door Refrigerator, 230 Imfresh Roy 5S (2017) is a premium quality Refrigerators from Whirlpool. Moglix is a well-known ecommerce platform for qualitative range of Refrigerators. All Whirlpool 215 Litre 5 Star Wine Exotica Direct-Cool Single Door Refrigerator, 230 Imfresh Roy 5S (2017) are manufactured by using quality assured material and advanced techniques, which make them up to the standard in this highly challenging field. The materials utilized to manufacture Whirlpool 215 Litre 5 Star Wine Exotica Direct-Cool Single Door Refrigerator, 230 Imfresh Roy 5S (2017), are sourced from the most reliable and official Refrigerators vendors, chosen after performing detailed market surveys. Thus, Whirlpool products are widely acknowledged in the market for their high quality. We are dedicatedly involved in providing an excellent quality array of Whirlpool Refrigerators.